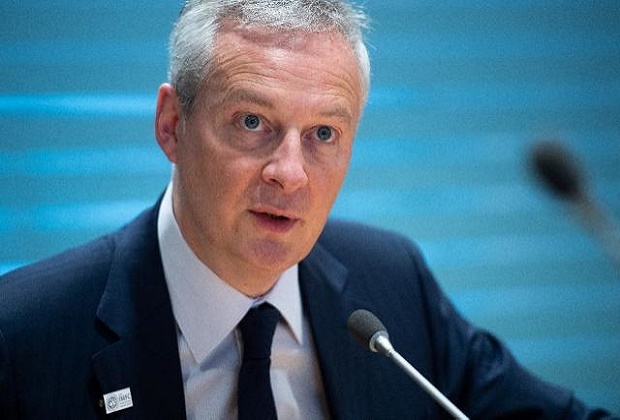 Washington (AFP) – French Finance Minister Bruno Le Maire warned on Friday that Europe was ready to hit back at any US tariffs against Airbus as he pleaded for an “amicable solution” to the long-running dispute. “If we were to be hit again by unjustified and unjustifiable US sanctions, Europe would be ready to respond in a united and strong way,” the minister said after his meeting with his US counterpart Steven Mnuchin. “All this would be bad for growth and bad for American and European prosperity,” he said at a press conference on the sidelines of the spring meetings of the International Monetary Fund and World Bank. “We must avoid this,” he said. “On the basis of the WTO’s conclusions, it seems to me that the voice of wisdom is to reach an amicable agreement between the United States and Europe on a final settlement of the Airbus-Boeing case,” he said, adding that the case has been going on for far too long. In 2012, “the EU had requested the WTO to authorize $12 billion in countermeasures,” a commission source told AFP.